Entrepreneurship flourished in MENA (Middle East and North Africa) region after the Arab spring in 2011. With the support of the international donors, each of the Arabian countries succeeded to build a sustainable entrepreneurship ecosystem. It involves a variety of main actors; incubators, accelerators, venture capitals and angel investors, who invested in social businesses or ventures that have potential to grow into sustainable organizations or companies. Jordan is one of the Arabian countries that succeeded to create a sustainable entrepreneurship ecosystem even before the Arab spring. One of the most active entrepreneurs and investors in the region is Saeed Omar, a Jordanian who started the first accelerator in the MENA region in 2009. He has been running different successful businesses inside and outside Jordan. Saeed, went to Jordan in 2009 to help founding the first accelerator in the Middle East called Meydan (which means ‘square’ in English), together with the famous Jordanian social entrepreneur Maher Kaddoura. They were investing in social ventures and in one year, Saeed succeeded to recruit 19 social ventures out of 500 applicants. After the great success of the program in the first year, Saeed decided work only as a management consultant to Meydan and focus on his new venture. In 2010 Saeed founded Sitat Byoot (which means ‘women’s houses’ in English). It is an E-commerce website that helps women who are producing handmade products selling these online. In less than 6 years, the website has 750 thousand women from 25 Arabian countries registered, with a revenue sales per month 10 - 15 thousands dollars. Besides, they have conducted workshops to teach women how to make handmade products. 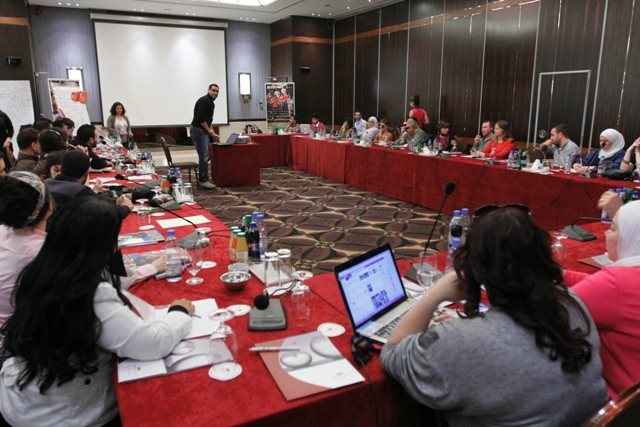 Around 100 workshops have been organized for 1000 women in Jordan, and these workshops were made available online. This means that almost 21 thousands women have access to the online workshops. While running Sitat Byoot, Saeed decided in 2015 to start Startupnow, a consulting company that helps organizations supporting entrepreneurs. Their services vary from marketing and management consultation to training and development. Within a year Startupnow has conducted 224 workshops that served 13 thousands entrepreneurs from all over the region. There are two achievements that Saeed is particularly proud of. Firstly, he wrote a book named “Company Startup Program', which is currently being taught at 20+ universities in Jordan. It helps wantrepreneurs starting companies or organizations and it provides practical solutions for all the marketing and management issues that all startups usually face when they launch their business. Secondly, Saeed has worked for one year during 2014 as an important consultant for Doha Business Incubation Center (DBIC), which is considered the biggest incubation center in the world. Saeed has been awarded with many international awards for his great contribution to create an entrepreneurship ecosystem in the region and for his successful sustainable businesses, among one of the most prestigious awards The Queen Rania Award for Entrepreneurship.